When Katie first contacted seam, it just made so much sense to me both as a mother and business woman. It seemed like a perfect opportunity for me to ‘walk the walk’ so to speak as a role model for my children. Since my office is the dining room table, everyone in the family is very aware of what is happening in the business. Working with Changing the Face of Beauty opened a discussion about tolerance and bullying that they could really wrap their heads around. In addition, our customers have always told us how comfortable and soft their daughters find the clothing and how much they enjoyed dressing themselves because of the construction. 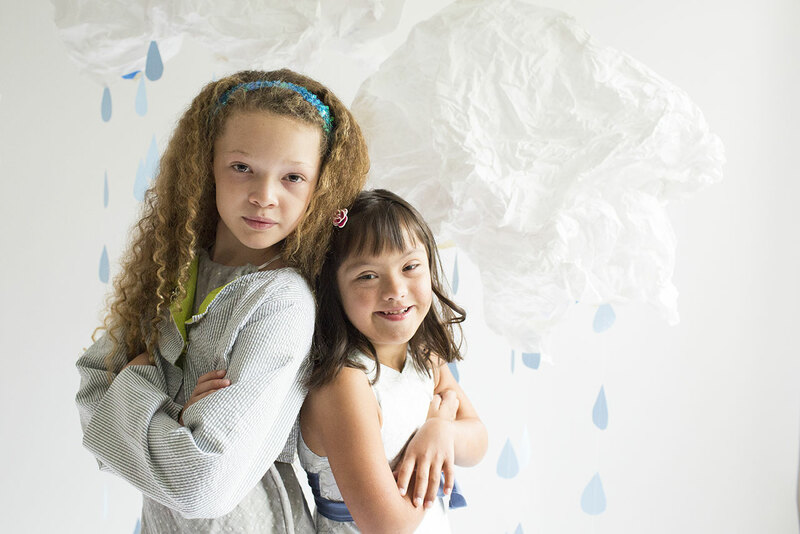 I thought this would appeal to moms of girls who have developmental or sensory disabilities. We are pleased to say that indeed this has been the case. Popular culture today has a very strange sense of what is beautiful, especially for young girls. It is my hope that by participating, my business can be one small counterbalance to some of those ideas that cause struggles with self image. 2. What does Changing the Face of Beauty mean to your business? As a mother of four, it has always been important for me to make sure my children developed respect and understanding for other kids that might be different than themselves. Participating in Changing the Face of Beauty is a part of seam that I am very proud of. It is not easy to balance all the hats that we wear as mothers, but when you are spending time away from the family on a business that reflects your values and what you believe in, keeping all those balls in the air comes a little easier. To be honest, I wasn’t really sure what to expect before the first shoot. My philosophy in business has been to always try and go with my gut reaction. Sometimes the result is great, sometimes not so much, but at least I don’t wind up wondering-WHAT IF? With CFOB first and foremost, the photos are fabulous. Katie has a wonderful eye. As a designer, I never look at the final pictures and feel like I have done anything different by using models that might have physical or developmental disabilities. I have contracted with a photographer to shoot beautiful pictures for my line. It was very rewarding to see reactions to the photos at trade shows after the first photos were printed. Both buyers and other exhibitors were so drawn to Grace’s infectious smile. Without exception, the comments were all very positive. It is our hope to communicate that Seam is a company designing and manufacturing clothing to both look and feel beautiful on every little girl. I have always been a big fan of the Dove soap campaign and its focus on the real beauty of all women. This is an opportunity for seam collection to communicate that same message to girls everywhere. No one is invisible. We are changing the face of beauty with each photo shoot, one outfit at a time.